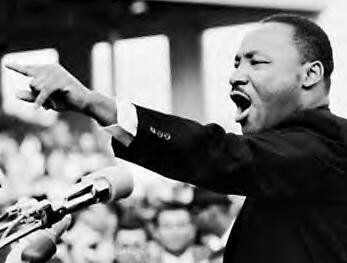 The Nielsen Library will be open regular hours, 8am – 11pm, on Martin Luther King, Jr. Day. While the Nielsen Library generally does not purchase textbooks, it is possible you may be able to find some of your required books at the library. If you’re taking a class that requires books other than textbooks (such as a literature class) it is much more likely that you’ll be able to find your book in the library. Check the library catalog. The library has a Reserve Collection with materials that professors have asked us to set aside for students. A professor may choose to put a personal copy of a textbook in the Reserve Collection. These books can be checked out for one hour at a time. We belong to a large library system called Prospector. It is possible (though not likely) that you may be able to get a textbook from another library in the Prospector system. Go tohttp://prospectorhome.coalliance.org/ to search for your book. Unless your class requires a brand new edition of a textbook, chances are you can save a lot of money by buying used books, either in theAdams State University Bookstore, or online. Many online book sellers offer deals on new and used textbooks. Save time by using a comparison service like textbooksplease.com orbook.ly to compare prices on dozens of sites at once. A number of vendors, including the Adams State University Bookstore, now offer rental programs for textbooks. 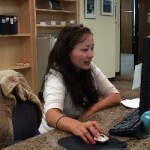 Check out the rental options and prices at Amazon, Half.com, Cengage Brain, Bookrenter, andecampus. eTextbooks are often significantly cheaper than their print counterparts, and most vendors offer eTextbooks for both sale and rental. Many eTextbooks allow you to highlight text and take notes. Be sure to check the system requirements and features before buying eBooks. Amazon, CourseSmart, Cengage Brain, and ecampus all offer eTextbooks. Cengage Brain sells individual chapters of some eBooks. Sites like Open Culture, Open Stax, and Flat World Knowledge offer free open source textbooks. Open source books are still fairly new, so don’t expect many choices. The texts are free though, so it’s worth a shot. Textbook publishers come out with new editions fairly regularly. Sometimes these new editions have significant changes, but other times the changes are minor. Ask your professor if an older edition can be used. Looking for a work study job for spring? 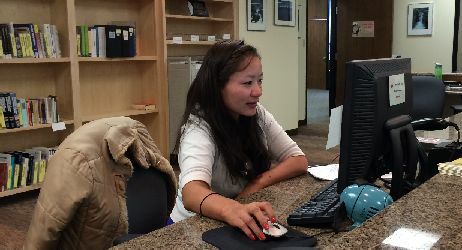 The Nielsen Library is hiring for a number of positions, including Circulation, Technical Services, and Inter-Library Loan.